My six year old nephew calls them “Excited Bars,” but they’re known by most as Energy Bars. They can fill you up, help sustain activity, and deliver a boost of energy when you need it. Matt and I first bought some commercial energy bars a few years ago when we were planning a long distance hiking/camping trip. I knew there had to be an easy way to make them, but I just didn’t have time to research it as we frantically planned this last minute trip. We needed food items that would pack small and deliver the most calories. I was surprised at two things when we bought some high quality energy bars – the price and the ingredients! Each bar cost more than $3.00 and contained ingredients like soy products, sunflower oil, preservatives, and canola oil. These are all things we work hard to avoid in our diet. So when my mom said she had a good recipe for energy bars I knew I could tweak it to be exactly what we needed in terms of ingredients and price. My new and improved recipe uses ingredients like sprouted flour and soaked oats to reduce the phytic acid that is present in oats and grains. Phytic acid is harmful to our diets because it binds with minerals in foods, making them unavailable for absorption. Sprouting or soaking things like grains, oats, and legumes will activate phytase – the enzyme that neutralizes phytic acid – greatly reducing the amount of phytic acid in the final product. A few other substitutions like coconut oil (instead of vegetable oil) and soy-free chocolate chips round out this hearty energy bar recipe. We like to eat them for breakfast, take them on hikes & bike rides, or pack them for munching on during long car trips. Add oats to a large bowl with 4½ cups warm water and ½ cup lemon juice. (Plain full fat yogurt, homemade kefir, or white vinegar can also be used in place of lemon juice.) Allow oats to soak in water mixture for at least 7 hours or overnight. When soaking is complete, drain off as much excess liquid as possible. Beat together honey, nut butter, coconut oil, vanilla and eggs in a BIG bowl. In another large bowl, mix all remaining ingredients (including soaked oats) with a wooden spoon. Add this mixture to ingredients that were beaten in the BIG bowl. Mix well. Spread into a large greased baking sheet with sides. Pat mixture down evenly with the back of a wooden spoon or spatula. Bake at 325° for about 45 minutes or until light golden brown. Let sit for 20 minutes, then place parchment paper over top and roll with a rolling pin to compress. Allow to cool completely, then cut into desired size, wrap, and freeze. Bars will also keep in a sealed container at room temp for 1-2 weeks. Whether you’re looking for a fast breakfast, a meal replacement on the trails, or a snack on the go, these are the perfect healthy alternative to store bought energy bars! 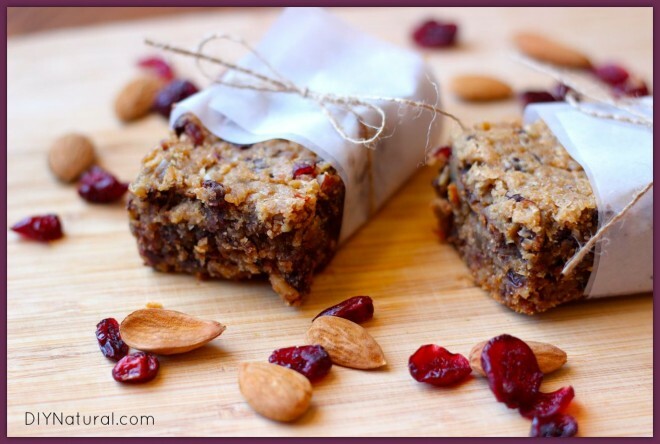 Have you ever made your own energy bars? Thanks for the recipe. I’m trying them for the first time for my husband. Can you tell me what size pan you use, a cake pan or sheet pan? The pan I use for this recipe is a 16″x11″ bar pan (with low edges). Your pan will need an edge, but not a high edge or it will make it difficult to compress the bars with a rolling pin. I hope your hubby likes these! It looks like a great recipe but I’m wondering how much each bar would cost to make. 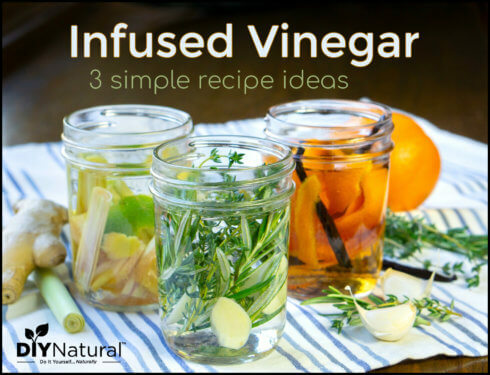 Have you ever figured it out with all of the ingredients you use? Also, how many “store bought sized bars” does this recipe make? Thanks! I made these yesterday. I didn’t have sprouted flour and substituted spelt flour 1:1. They are delicious but are more brownie/cake consistency than like a bar!? These are good, and much cheaper than store bought. I think they are a little too sweet with the chocolate chips in them. I quit eating deserts and now many things taste too sweet so maybe it’s just me. They’ll be good on the hiking trail though and it makes a nice big batch which is helpful with 3 growing kids. Yes, SO much cheaper! I actually love desserts, so sometimes I think they’re not sweet enough for me…lol. I guess that’s a really good example of how our tastes adjust to our diets. Glad you made these, Amber! I would love to try making this bar for me and my niece, but she is allergic to eggs. What can I use as an alternate for the eggs? Thanks! Although I am not allergic to eggs, I am trying to follow a vegan diet so I would love to successfully make these without the eggs as well. Would apple sauce work instead? How much of it? We have not made these yet, I am fairly new to gluten free diet, so am going to try this but have not figured out yet what gluten free flour to use, there are a number of them to choose from. I am lucky to have grocery store here that has great selection of gluten free items including good selection of gluten free flours, there are bean flours, rice flours, sorgum flour, amaranth flour, teff flour, etc. there are many different types. I myself would like to try amarath flour as it is very nutritional. may go with blend of flours. right now we are exploring gluten free cookbooks, recipes to find similar recipe? will let you know if we find one. I’m with you on the gluten free. I too am a “newbie” on this one. I would say this too , if you find a recipe similar to this recipe that is gluten free, this would be ever so helpful. This recipe looks so….good. Most everyone is gluten free sensitive or intolerant. Most health symptons or problems are associated with gluten from arthritis, which is caused by inflammation, to auto immune diseases which there are about 60 and doc’s can’t diagnose them all. My natural doc says that it literally kills the small intestine and affects every part of the body from the brain all the way down to the toes. I figured I could give up my Sprouted Wheat Bread Eziekel, which I didn’t eat much of, nor any pasta, etc….but he said it only takes a drop of it and stays in your body about 2 months. No homemade cookies and guess what? Now they taste bad to me. So does going in a grocery store near the bread dept. UCK! Can these be made with gluten free flour? I don’t know that sprouted flour is gluten free. Will do some research. thanks for this post. Yes and it is delicious! Is there a recipe available that doesn’t include? I have nut allergies so i can’t use the nut butter, sunflower seeds or almonds. I haven’t made the recipe without nut butter before, but another reader emailed today and asked if they could use dates in place of the nut butter. I think that would be a really tasty addition, but you’ll need to make a paste out of your dates with some water in order to mimic the consistency of a nut butter. 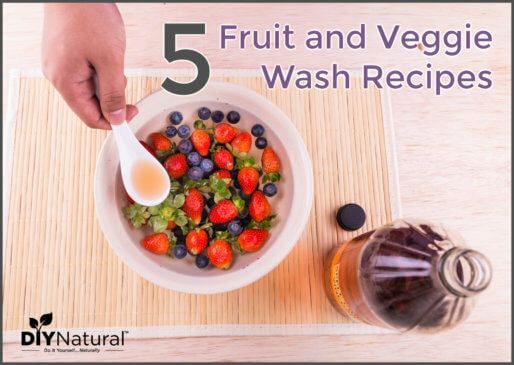 You could also just leave out the nut butter and add a little more of one of the wet ingredients (like honey or coconut oil). That way your bars won’t be dry. Thanks for this great recipe! I am looking forward to using it. They look 100% better than the store bought ones, and now that I am on gluten free diet, I can tweak them to be healthy options. Thanks again, and also thank you for sharing about soaking grains, etc. Now I realize what has been upsetting my stomach from eating oats. great post! thanks again. Eve, What gluten free flour did you use? We are newly gluten free and don’t know which one to use. 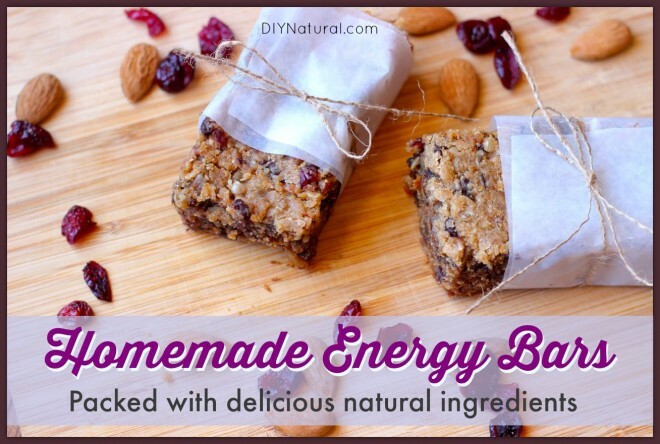 I enjoy making my own energy bars, as well! So great to have handy for a quick breakfast or snack, as well as to keep frozen for a go-to option! Thank you so much for sharing this recipe! As a working mother and wife, I need all the energy and nourishment I can get. Thank you for helping life to go that much smoother! I have been trying to feed my family healthier options, but being on such a tight budget, it is often hard to do. I have used many of your “recipes” and I just can’t thank you enough. God bless you and your efforts. What would you use instead of oats. My husband has gout and we are controlling it thru diet and oats is on the ‘no’ list. Trish, I’ve never tried it in this particular recipe, but I often use cooked quinoa in my energy bars, and it works well. If your husband can have that, it would be worth a try! Thanks for chiming in Megan! That sounds like a good substitution for the oats.